I've probably played way more Animal Crossing: New Leaf than is healthy for a human, but part of the reason is they've been making neat little changes to the game. One of those is the introduction of these little Amiibo. 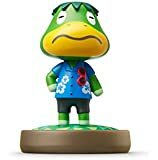 1) At some point after the "Animal Crossing Welcome Amiibo" update to your game, you'll hear a voice calling out to you. Follow that voice and eventually you'll find an Aladdin-styled Genie lamp on the ground. Pick it up and take it home. 2) Put the lamp out somewhere in your home and click on it. A spirit will pop out who says he can 'possess' various characters in the game, if you have their Amiibo. You'll be prompted to set the Amiibo on the touchscreen (and you'll want to have Wireless/NFC turned on). 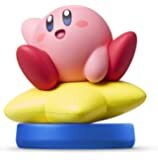 3) The spirit will appear looking like the Amiibo character. If you choose "Let's hang out! ", he'll then possess them and make them leave their job and go hang out in the campground. When this happens, you can go visit them in their RV and buy things from them. Be aware this also means they'll be away from their posts! Because this spirit has possessed them and convinced them to go take the day off. Things return to normal the next day. This makes a cute and fun add-on to the Animal Crossing game. 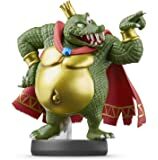 It's just a shame that Nintendo limits every Amiibo to specific individual titles--it would be more fun if you could use them across multiple games. It's an amiibo so there's not that much to say. The figure itself is amazing as always but don't expect to be able to use it in anywhere near the amount of games you can use some others in. With the recent update to Animal Crossing New Leaf, this Amiibo does have more of a use than in the past. We may also see more support in the future knowing Nintendo. The benefit of the lack of software support is the price. The Animal Crossing series of Amiibo are cheaper than most other series by a fair margin (MSRP is $8.99 instead of 12.99$) and I was able to pick this up for just $6.00 so the lack of support is made up for in the reduced price. I think the piece is adorable but we were not sure how dual characters would work. In the end you pretty much play as Timmy and poor Tommy is forced to follow you around. Won't even share a die with him on twice dice day! Poor Tommy. Despite trying to resist when they first came out, I succumbed to the Amiibo bug and bought several across various Nintendo series. I love Animal Crossing, and when the AC Amiibo started coming out, they were hard to resist. I think both Nintendo's manufacturing for the characters has gotten better than the first gen Smash Bros. and the simple Animal Crossing characters seem to lend themselves to the toys. 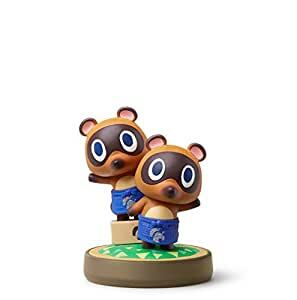 I got both Blathers and Tom Nook, and told myself I was done with AC Amiibo, but between Animal Crossing New Leaf's Amiibo update, and the price drop for Timmy and Tommy (in their cute Japanese apron outfits - I wish Tom Nook came in that outfit, rather than his realtor sweater) it was hard to say no. Certainly, compared to some of the Smash Amiibo which work across many games, the AC Amiibo are a little more limited (to basically Animal Crossing New Leaf, Happy Home Designer, and Amiibo Festival), but part of the joy is getting to own physical versions of your favorite characters. And in that, I'm super happy I got this Amiibo. I got a whole bunch of Animal Crossing amiibos but this one is my favorite. Timmy & Tommy are so cute. 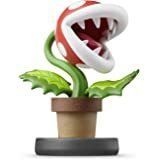 I use this amiibo the most while playing the Puzzled League game within the New Leaf game. What else can I say about amiibos, as always they are durable, painted really well and make cute display pieces when you're not using them with your games. Who's your favorite Animal Crossing amiibo? Mine is a tie between these twin tanuki and Rover the cat. I'm sure these also work with the Wii U and possibly some other games, but I got it specifically for Puzzle League and Island Adventure.